It seems as though ancient cannibals had a "waste not, want not" attitude, suggests the discovery of Ice Age cups made from human skulls — what may be the earliest ones known, scientists say. 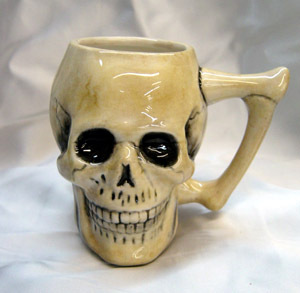 Human skulls have been made into macabre cups and bowls for thousands of years. For instance, in the fifth century B.C., ancient Greek historian Herodotus portrayed the Scythians as people who drank from the skulls of their enemies, and similar traditions have been described by the ancient Chinese historian Sima Qian sometime in the first or second centuries B.C.